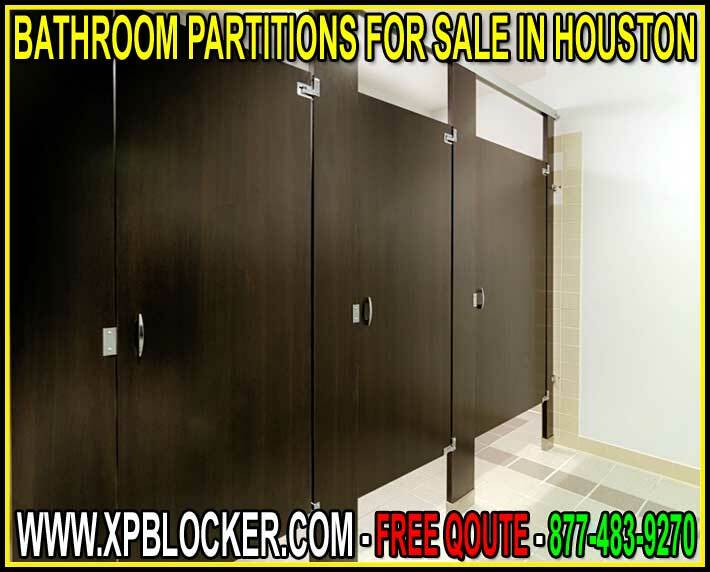 XPB Locker carries several lines of commercial bathroom partitions for Houston construction companies. These partitions are manufactured in the United States and carry a full warranty on quality assurance. The materials we sell are carefully selected to fit specific budgetary, design, and functional requirements. Having fielded our own installation team in the past, we are highly experienced in restroom construction as well as restroom supply. We understand the many challenges that contractors face when building out a new restroom or undertaking a remodel. Everything from mistakes in measurements to faulty fixture installations by other contractors can put even the very best team behind schedule. This is why we are always willing to help with drawings, advise on measurements, and consult on the best ways to mount your bathroom partitions. Houston contractors can count on our expertise as much as they count on our quality assurance. XPB Locker helps determine selection criteria to find the best bathroom partitions for the job. If budget is the biggest concern, take heart. XPB has several lines of powder coated metal toilet stall dividers. These partitions are designed to withstand normal usage in medium to low traffic environments. They are ideal for small ice cream shops, sidewalk cafes, and coffee shops. Many smaller churches also use these dividers in their restrooms. They should last a good 5-10 years if properly cared for, and the cost of replacement is well within budget tolerance if they are vandalized or damaged in an accident. Houston is the number 1 city in America for jobs and economic growth. Businesses are starting everywhere, and everywhere you look you see new office buildings and restaurants being built. IF you are the GC of such a project, be sure to ask your client how important style is when it comes to restroom design. A facility that needs a definitively high-end look will greatly benefit from stainless steel bathroom partitions. While it is something of a mid-range to higher price point, (depending on the model you choose) it is well worth the money when you consider the impression it makes on guests and clients. Nothing shines like stainless steel. As everyone knows, Houston is a very humid city. In many environments, such as health clubs, shower facilities make a restroom facility even more humid. Your client will need something moisture resistant that will maintain its structural integrity under these conditions. We recommend investing in solid plastic bathroom partitions. Houston companies can find the best American-made stall dividers here on our site—and some of the best prices anywhere. Houston’s world-famous health care industry has earned its reputation partly due to its insistence on clean facilities. Restroom hygiene is a matter of top importance in any doctor’s office, hospital, or emergency center. Solid phenolic partitions are ideal for these environments because they not only block water the way that solid plastic does, but they discourage the growth of bacteria. These commercial bathroom toilet partitions are very hard and vandal resistant. They are designed for the toughest environments and are also good for healthcare facilities. Phenolic is the most resistant to bacterial buildup and is preferred by health care facilities for this reason. Phenolic’s higher cost is offset by its low replacement factor. XPB Locker is a family-owned, Texas company which prides itself on quality. Over the years, we have furnished hundreds of restrooms throughout the state of Texas. Taking great pride in our state, and in a supply-chain consisting of American-made projects, we stand ready to help Houston contractors find the right bathroom partitions for the right price. We are more than happy to consult on measurements and drawings as well, so feel free to email us documents when you place your call, so we can discuss your project and finalize your order and shipping details.